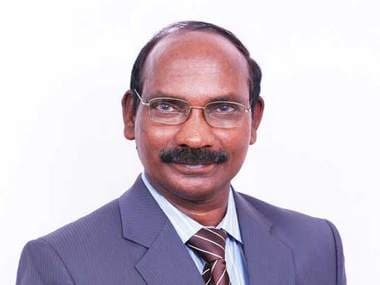 Renowned scientist K Sivan was on Wednesday appointed as the the chairman of Indian Space Research Organisation (ISRO) to replace AS Kiran Kumar. Renowned scientist K Sivan was on Wednesday appointed as the chairman of Indian Space Research Organisation (ISRO) to replace AS Kiran Kumar. Sivan, at present Director of Vikram Sarabhai Space Centre in Thiruvananthapuram, will succeed Kumar (who took over as ISRO chairman on 12 January, 2015). Sivan is popularly known as the "Rocket Man" for his significant contribution in the development of cryogenic engines for India's space programme. The announcement of Sivan as ISRO chief comes two days ahead of the proposed historic launch of the ISRO's 100th satellite along with 30 others in a single mission from Sriharikota. Sivan was born in Nagercoil, the border town of Tamil Nadu with Kerala. He graduated from Madras Institute of Technology in aeronautical engineering in 1980 and completed Master of Engineering in Aerospace engineering from IISc, Bangalore in 1982, according to his biodata. Subsequently, he completed his PhD in Aerospace engineering from IIT Bombay in 2006. Sivan joined the ISRO in 1982 in Polar Satellite Launch Vehicle (PSLV) project and has contributed immensely towards end-to-end mission planning, mission design, mission integration and analysis. He held various responsibilities during his stint in ISRO. Sivan has numerous publications in various journals and is a fellow of Indian National Academy of Engineering, Aeronautical Society of India and Systems Society of India and and Indian Systems Society for Science and Engineering. He has received various awards throughout his career which includes Doctor of Science (Honoris Causa) from Sathyabama University, Chennai in April 2014 and Shri Hari Om Ashram Prerit Dr Vikram Sarabhai Research award for 1999. Sivan has contributed significantly to Polar Satellite Launch Vehicle (PSLV), Geosynchronous Satellite Launch Vehicle (GSLV) and GSLV Mk-Ill vehicle design. He has been credited for the development of the PSLV rocket that launched 104 satellites in a single mission, setting a world record in February last year. Sivan also designed a software called Sitara, which ISRO uses for simulating trajectories of its rockets. He led the Reusable Launch Vehicle - Technology Demonstrator (RLV-TD) project, one of the most technologically challenging endeavours of ISRO towards developing essential technologies for a fully reusable launch vehicle, and was involved in its design qualification, aerodynamic charecterisation and hardware development. “Any idea that comes in, he knows how to push it to the logical end within the prescribed timeline. That’s what his strength has been,” Dr Annadurai, Director ISRO Satellite Centre, Bangalore was quoted as saying about Sivan by News18. When asked what the new appointment means to him, Sivan told News18 that he ''feels like shaking''. "It's a huge responsibility; I'll be occupying a position that so many eminent people have held," Sivan was quoted as saying by The Times of India. Sivan, Business Standard reported, is the second rocket scientist to head ISRO, after G Madhavan Nair, who has been roped in to prioritise a public-private consortium to build the PSLV rocket. In August last year, then ISRO Chairman AS Kiran Kumar had said that since ISRO was trying to increase the number of launches, a consortium approach would be more appropriate for PSLV, The Hindu had reported. Currently 60-70 percent assistance comes from the industry. The idea behind consortium is to get the industry take care of the entire building of the launch vehicle. Bringing private players into satellite and rocket building will also be an area where Sivan will need to focus, said the Business Standard report.